A Relocated Conservatory In Gamlingay. When we wanted to change the displays at our show site at the Scotsdales Garden Centre in Great Shelford, we offered this amazing conservatory for relocation. As every conservatory we make is specifically built to suit the location its designed for, finding a suitable new home was not going to be easy. 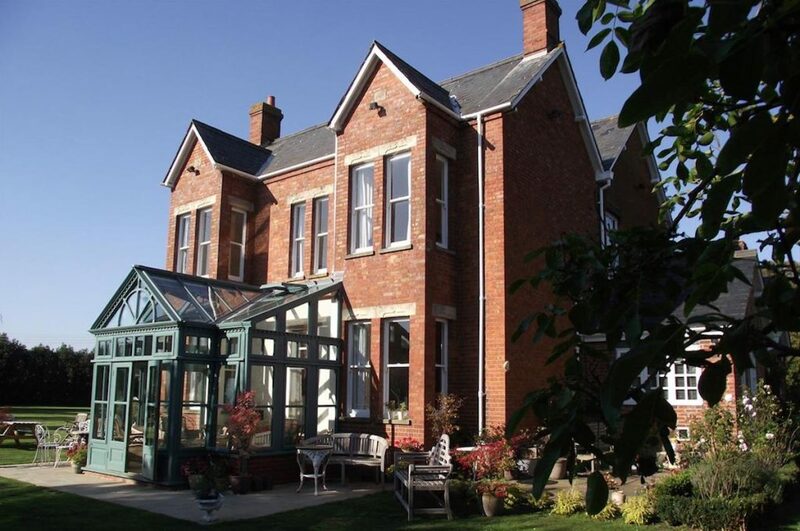 Built from hardwood with a myriad of traditional features, it was going to take a very special property and home owners with huge vision to see the potential that this gorgeous conservatory offered. As you can see from the image above, the conservatory was a prominent feature of our display. With its combination of lean-to and gable-end roof line, this glass room was designed to sit against a high wall and provide a spectacular link between home and garden. 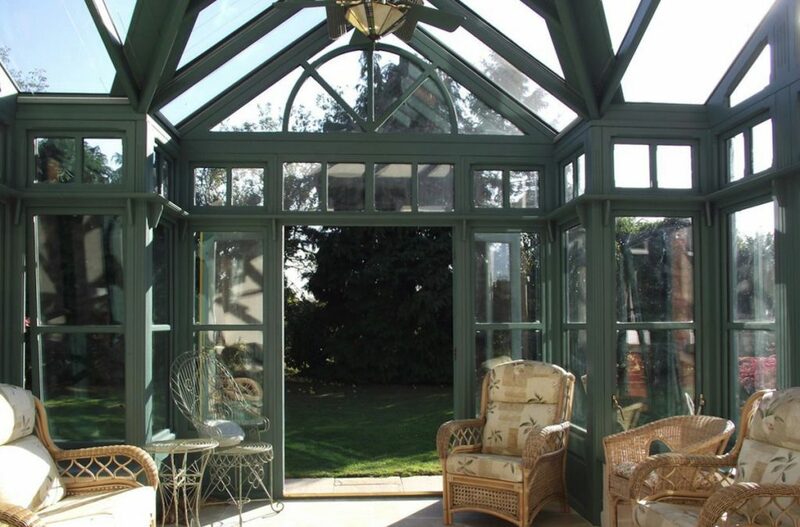 Everything about it spoke that a large scale traditional home would be the perfect spot for this conservatory to live out the rest of its life. And amazingly, that’s exactly what happened. 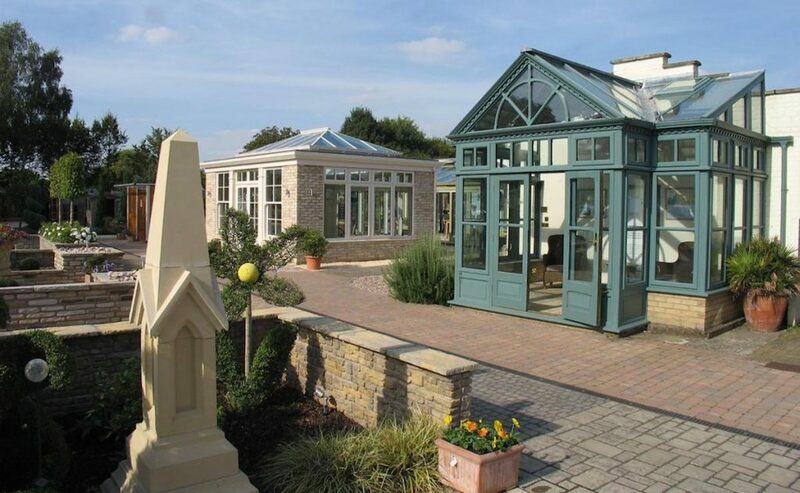 If we didn’t know better, we would believe this conservatory was designed specifically for its new Gamlingay location. With only a few minor adjustments, our beautiful display fit perfectly between two feature gables on a wonderful red brick farmhouse. And not only is the fit perfect but the effect is incredible. 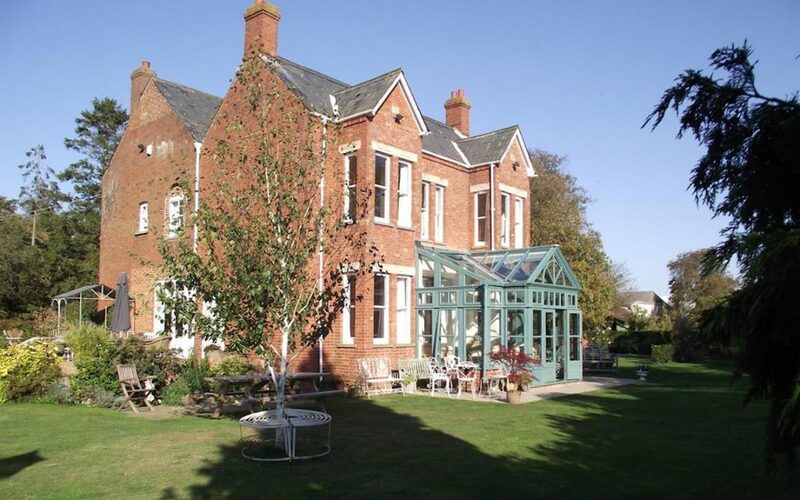 The gable end on the conservatory mirrors the gables on the house, the colour sits beautifully with the red brick and even the extension windows line up with the existing windows of the house. It couldn’t be a more perfect match! And its not only from the outside that this conservatory looks spectacular. From the inside, the roof lines come together to provide a spacious, airy space. With French Doors opening directly to the garden, roof windows providing ventilation, fan lights above tall windows and with that spectacular feature window in the gable end, this is a story with a very happy ending. Gamlingay is lucky to have you!